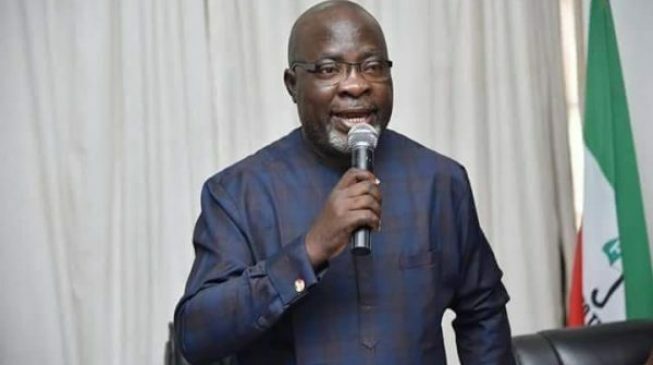 The Peoples Democratic Party (PDP) has said that the alleged plans of violence and manipulations by the All Progressives Congress (APC) will be resisted by the people. The PDP claimed it will win the supplementary governorship elections in Benue, Rivers, Bauchi, Sokoto, Adamawa and Kano States. A statement by the PDP National Publicity Secretary, Kola Ologbondiyan, on Sunday said: “It is ludicrous the APC could seek to play the victim when all material facts have established that the APC militarized, perpetuated violence and unleashed mayhem on Nigerians in the elections so far held. “The PDP recalls that even the recent US States Department’s Bureau reports shows that state apparatus of power was used for intimidation and electoral violence to favour the government. “The PDP is however undeterred in our imminent victory in the March 23 supplementary elections. “In Benue, it is clear that the people have rejected the APC as clearly demonstrated even in the Presidential election. Benue state has always been home to the PDP. It is incontestable that our party has the largest genuine followership in all the units, wards and local government areas of the state and as such does not need any underhand measure to secure victory in any election in the state. “Our winning lead of 81,000 votes were validly delivered at the polling units and that reality will humiliate the APC as it cannot be subverted. “Similarly, Rivers state is an impregnable home to the PDP since 1999. The results of all the elections held in Rivers, including the state House of Assembly, showed that the PDP is in control of the state. “Moreover, in Rivers, the APC is a vicious interloper, which has been perpetuating violence and killings as a means to subvert and truncate the electoral process since it has no candidate in the election.